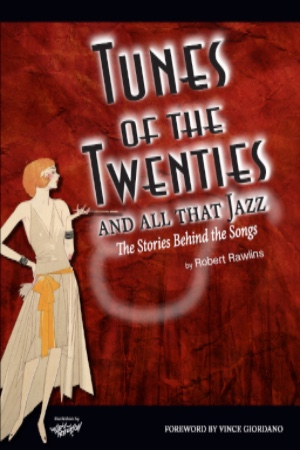 Book of the Month - "Robert Rawlins: Tunes of the Twenties"
Tunes of the Twenties is the first book of its kind to tell the stories behind the classic songs of the Jazz Age. With a Foreword by Vince Giordano (Musical Director for the HBO series Boardwalk Empire), this colorfully illustrated book embarks on a musical journey through the era of speakeasies, gangsters, and hot jazz. Robert Rawlins discusses each of the 250 songs in his previous publication The Real Dixieland Book, and takes readers backstage to share the intriguing, sometimes unbelievable stories associated with their publication and subsequent history. Robert Rawlins is Professor of Music Theory at Rowan University, where he has taught for 20 years. 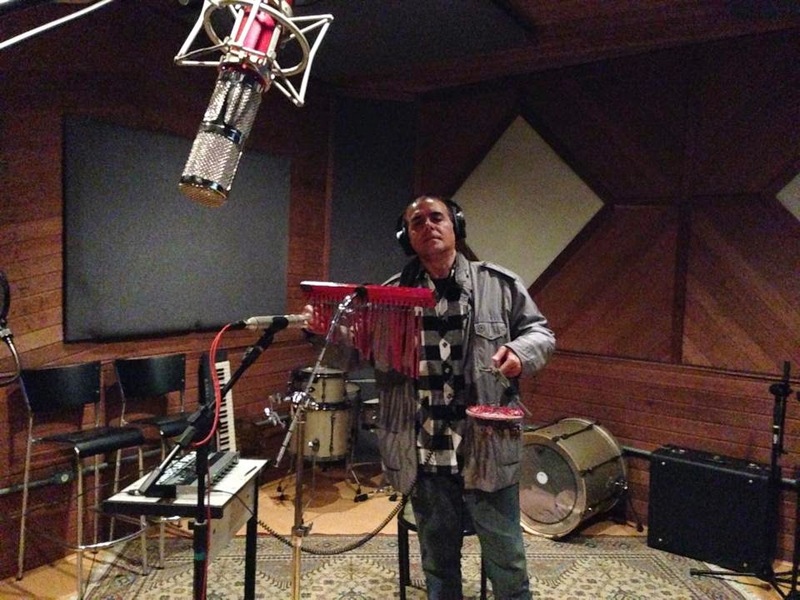 He received his Ph.D. in Musicology from Rutgers University. Robert plays the clarinet, saxophone, and flute and has been a professional musician his entire life. 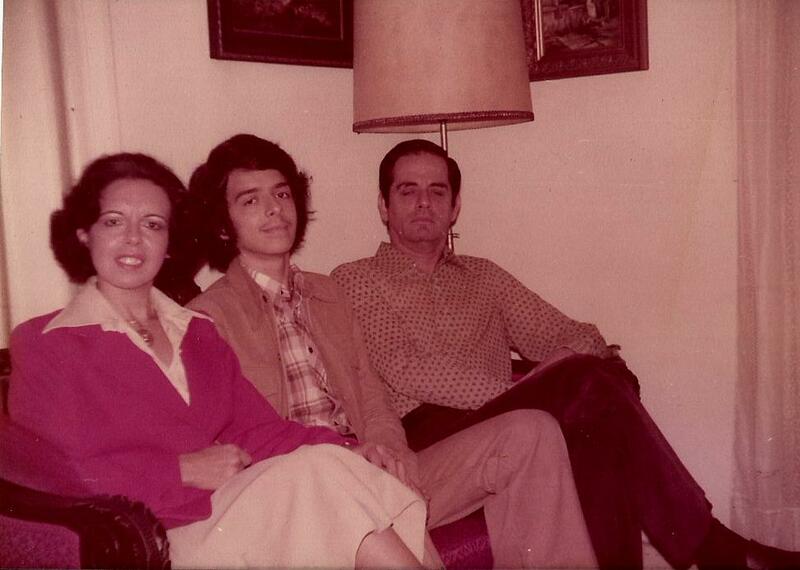 He has worked with hundreds of entertainers and is a former member of the Philadelphia Pops Orchestra. 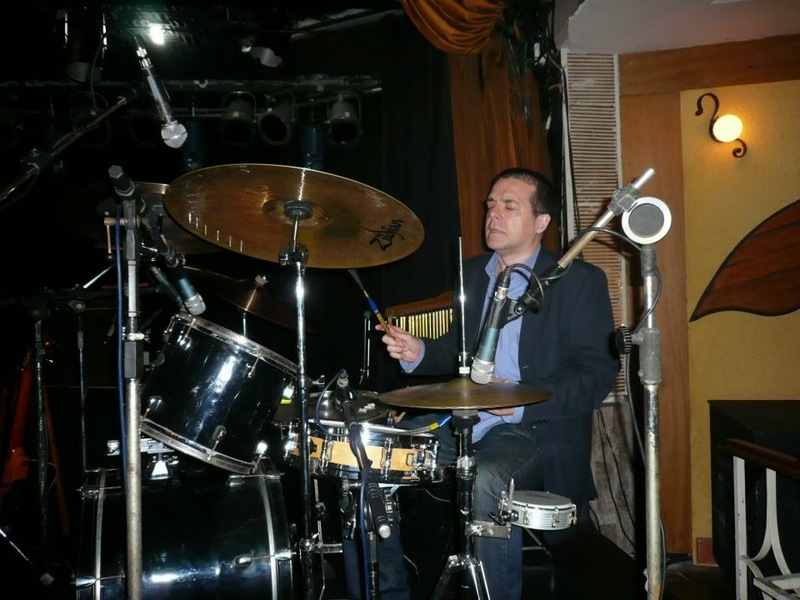 Robert remains active as a performer of traditional jazz in the Philadelphia area. · "Tunes Of The Twenties is filled with fascinating and well-researched tales about the origin and history behind the classic material." · "An outstanding work. I wish I had had it to consult when I was writing my jazz standards book." · "Rawlins' writing style combines seriousness and deep knowledge of the subject with much humor, making it easy to read while being highly rewarding." · "A publication that is a welcome addition to literature commenting on the history of popular song." A new release on the IRMA label, "Nu Jazz for Absolute Beginners: Listen to Relaxing Jazzy Lounge" (Irma ‎2626) comes out next week on July 29. A big party with Electronic, Jazz, Latin, Funk / Soul, Acid Jazz, Broken Beat & Jazz-Funk! 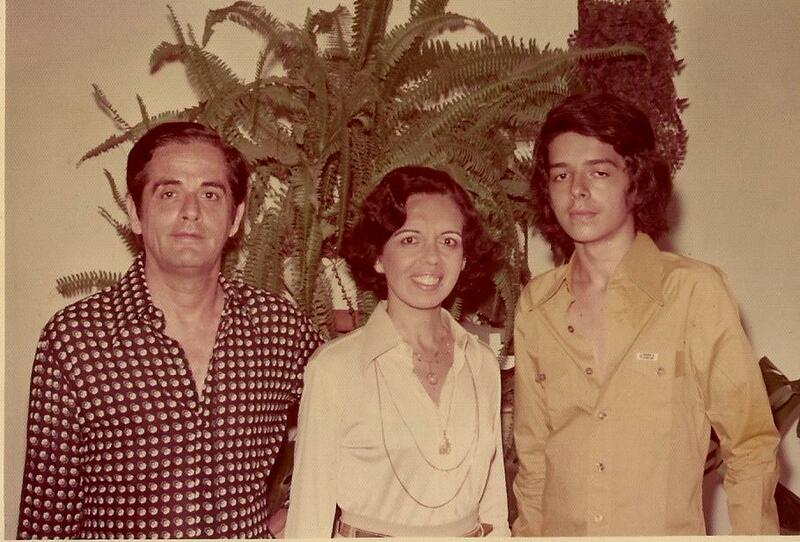 Beyond CD Reissue of the Month - "Deodato & Orquestra Los Danseros: Los Danseros En Bolero"
Released as part of the "Brazilian Music Love Affair" series that is coming out in Japan next July 20, "Los Danseros En Bolero" was one of the several projects recorded by Eumir Deodato in 1964, along with his own "Idéias" album for EMI and two recordings with his bossa-dance band Os Catedráticos -- "Impulso!" and "Tremendão" -- for the Equipe label. Previously reissued as "Lounge 64" in the early 2000s, in Europe, "Los Danseros En Bolero" is finally released in Japan for the first time on CD format, with its original front cover black & white artwork. But there's no reproduction of the back cover neither the musicians are credited. The omitted line-up includes Gabriel Bezerra (bass), Wilson das Neves (drums), Rubens Bassini, Humberto Garin and Jorge Gomes de Rezende (percussion), Neco (acoustic guitar), Geraldo Vespar (electric guitar), Julio Barbosa and Maurilio Santos (trumpet) plus a string ensemble. And, of course, Deodato, who arranged & conducted all tracks, plays organ & piano throughout the session. 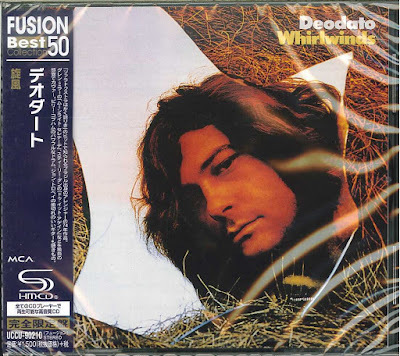 Deodato's name appears on the OBI and the album is credited to him, as really deserved, but only people able to read Japanese will be aware of it. The liner notes are also printed only in Japanese. The "Brazilian Music Love Affair" series includes titles from many labels now controlled by Discobertas, such as Tapecar, Arca Som, Pawal, Equipe, Paladium etc. 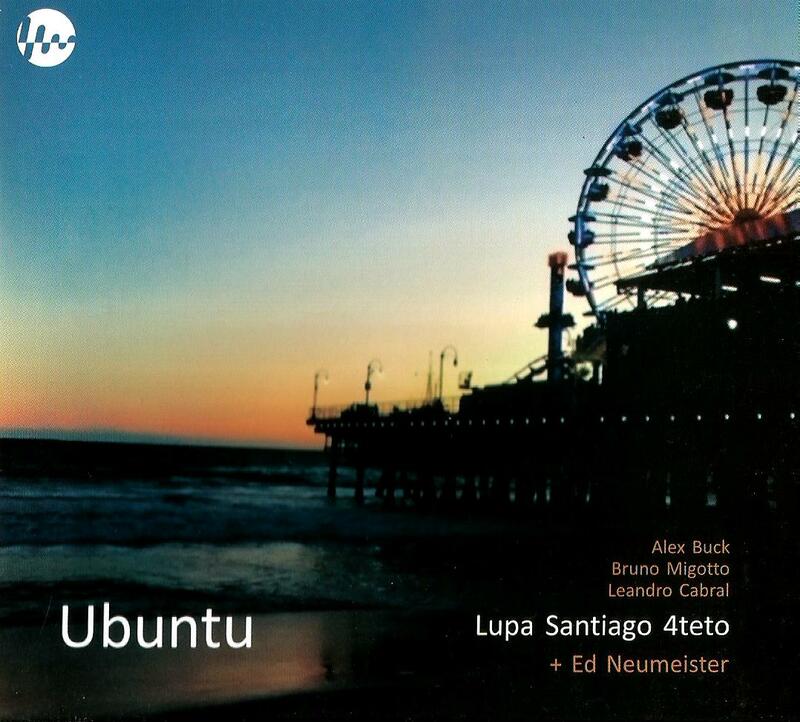 Albums by Marcos Valle, Elza Soares, Ronnie Mesquita, Miguel Angel, Rubens Bassini, Celio Balona and Victor Assis Brasil, among others. Already on pre-order at DustyGroove. A record we'd love to know more about – because the sound and presentation is so amazing! 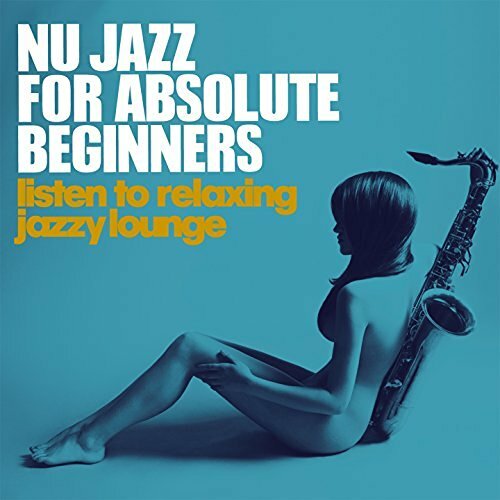 The set brings a bossa vibe to a mixture of American jazz and soundtrack tunes – often folding two tracks into one performance, and couching the melodies in some fuller strings and lighter, lively rhythms – with a quality that almost feels a bit like Henry Mancini taking on bossa nova material – or maybe like some of the fuller arrangements done by the young Deodato at the time! No surprise, there's some great Mancini numbers in the mix – along with other cool tunes too – served up with instrumentation that often has some rootsier percussion on the bottom, which blends in a great way with the larger charts – on titles that include "So In Love/Echo Of Love", "Sally's Tomato/Teach Me Tonight", "Mr Lucky/Speak Low", "Just For Tonight/Moon River", "Dansero/The Misfits", "Oba La La/La Puerta", and "Fly Me To The Moon/Our Day Will Come". 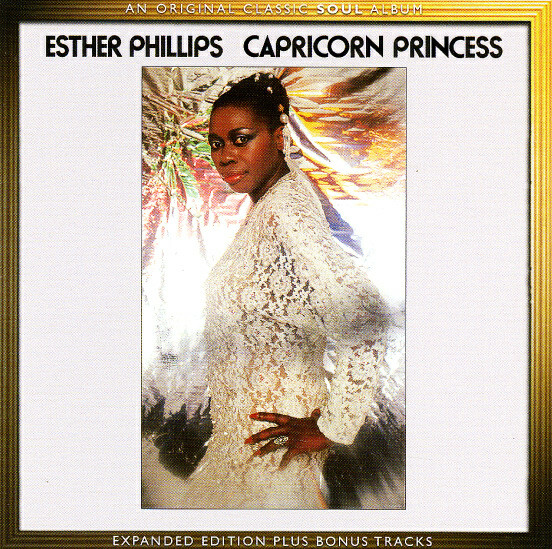 Vocal CD Reissue of the Month - "Esther Phillips: Capricorn Princess"
After the recent European CD reissue of Kathy McCord's debut album (till now released only once on CD in Japan, back in 1999, and longtime out-of-print), another vocal gem of the CTI catalog re-appears on CD format: "Capricorn Princess," the last of seven LPs recorded by extraordinary singer Esther Phillips (1935-1984) for CTI's subsidiary Kudu label. "Capricorn Princess" was reissued last month in Europe, on June 24 by the UK-based Soul Music label and distributed by Cherry Red Records, under license from Sony Entertainment. More good news: with two bonus tracks. Like on previous reissues, the loud digital mastering quality is not perfect, though. The sound is clean and transparent in most of the tracks, specially on the ballads "I Haven't Got Anything Better To Do," "Candy" (which includes an unbelievable spoken intro) and "A Beautiful Friendship," but the disco-oriented tunes received heavy compression, to the point that the opening track, "Magic's In The Air," sounds dull and very noisy, with a terrible drum sound. Anyway, an essential CD for all CTI/Kudu collectors and Esther's fans. 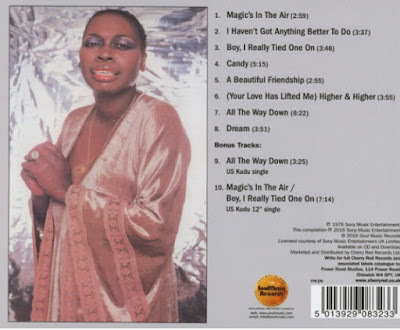 Esther was an underrated & unmistakable vocal stylist, but also a peculiar character, and there were many behind-the-scenes facts before & during the very expensive recording sessions that took place at two different studios (Mediasound in New York, Rudy Van Gelder in New Jersey) between May and September, 1976. 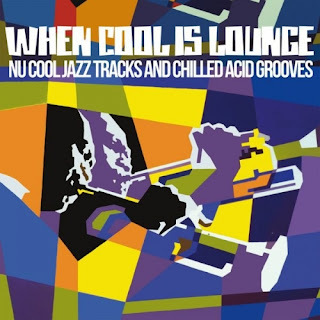 It's a massive set, a melting pot of jazz, r&b, pop, funk and disco, including potential dancefloor hits and haunting ballads such as "I Haven't Got Anything Better To Do," previously covered by bossa nova princess Astrud Gilberto for Verve as well as by tenor sugar sax player Stanley Turrentine for CTI on "Salt Song." Released in 1977, "Capricorn Princess" made the Billboard charts in three lists, peaking at #23 among the "Jazz Albums," #40 in the "R&B Albums" and #150 in the "Billboard 200 Pop Albums." All tunes were arranged by CTI's in-house arranger at that time, Mr. David Matthews, except "Candy" by Alfred "Pee Wee" Ellis. As usual, producer Creed Taylor assembled an all-star supporting cast, which included the heavyweights often associated with CTI (Joe Farrell, Eric Gale, Ralph MacDonald, Don Grolnick, Steve Gadd, Anthony Jackson, Andy Newmark, John Tropea) as well as some other faces not so familiar to CTI's fans (Barry Miles, Jeff Berlin, Bobby Lyle, Barry Rogers etc). 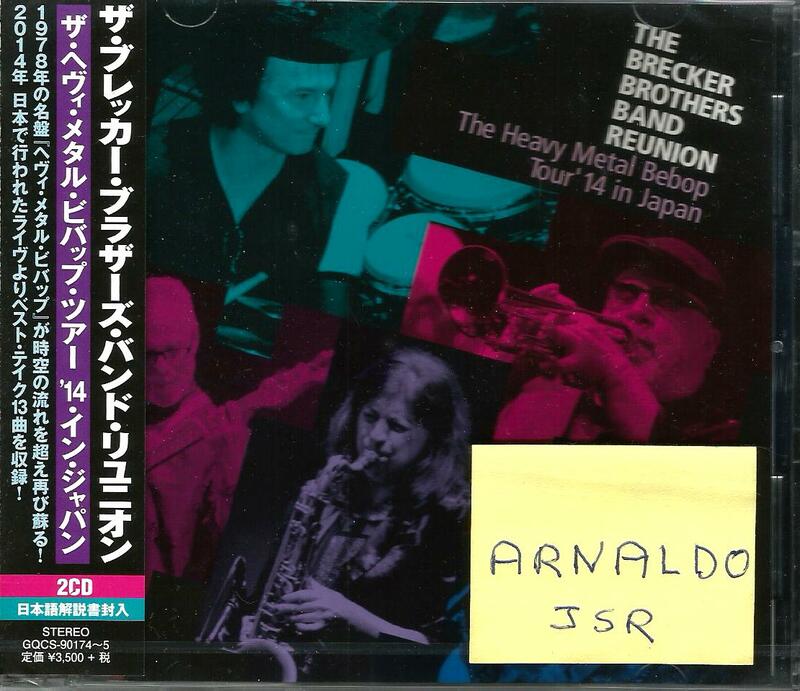 Not to mention that Brecker Brothers, Sam Burtis, Ronnie Cuber, Jon Faddis are found playing together on the horn section. And Bill Evans' former bassist Chuck Israels plays arco bass as a member of the string section! However, nothing could be more unexpected than the presences of two young artists that Creed had just signed to the CTI cast. And since Creed always followed the formula "a sideman one day, a leader the next," he invited electric violinist John Blair (the creator of the "vitar" instrument) and Allan Holdsworth to the proceedings. Nobody ever could have imagined to listen to the British guitar hero in an Esther Phillips album!!! But his appearance was quite discreet, playing pedal steel guitar on Janis Ian's "Boy, I Really Tied One On," one of the disco-numbers chosen to be released as a single. 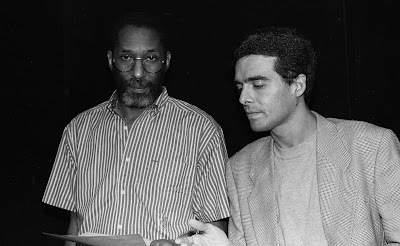 It is not a coincidence that both Esther and Allan had started to record their albums ("Capricorn Princess" and "Velvet Darkness," respectively) on that same May of 1976 at the same Van Gelder Studio. Curiously, however, despite the many expectations and plans that Creed had for John Blair and Allan Holdsworth, they only recorded one album each for CTI (Blair's album was "We Belong Together" that came out in 1977 and will be reissued on CD for the first time next September -- in Japan, of course,,,) Blair did another sideman appearance for Creed, on Lalo Schifrin's "Towering Tocatta," but Holdsworth only guested on Esther's "Capricorn Princess." Besides "Boy, I Really Tied One On," another groovy highlight is Trevor Lawrence's "Higher and Higher," propelled by the tight rhythm section (Don Grolnick on Hohner clavinet, Jeff Berlin's pumping bass, Andy Newmark on drums and John Tropea on guitar), with Joe Farrell doing the flute solo. It's not a secret that Phillips was adept at singing blues, early R&B, gritty soul, and jazz. Her voice had an idiosyncratic, nasal quality that often earned comparisons to Nina Simone, although she herself counted Dinah Washington as a chief inspiration. On her turn, Aretha Franklin always idolized Esther and mentioned her as a big inspiration. Phillips' career began when she was very young, under the artistic name Little Esther, and by some accounts she was already battling drug addiction during her teenage years; whenever her problems took root, the lasting impact on her health claimed her life before the age of 50. And, IMHO, she reached her artistic heyday under the aegis of Creed Taylor during her Kudu years. SHMCD Reissue of the Month - "Deodato: Whirlwinds"
Fusion CD of the Month - "The Brecker Brothers Band Reunion: The Heavy Metal Bebop Tour '4 in Japan"
Vocal Jazz CD of the Month - "Nora McCarthy: Blessings"
"blesSINGS" is a modern post bop jazz record that combines several elements to make its powerfully beautiful statement: original compositions and lyrics; various applications of vocal and musical language, inventive improvisation and imaginative arrangements. Most of the tunes were written by Nora herself, but she also performs great versions of McCoy Tyner's "Passion Dance," Ornette Coleman's "The Blessing," Lucian Ban's "Night On Earth," Lawrence D. "Butch" Morris' "Nowhere Everafter" plus two by her partner in life & music, saxophone master Jorge Sylvester: "Akara Moi Moi" and "Nimbus." The artistry on "blesSINGS" is stunning; the musicianship throughout is exquisite and the overall sound is reminiscent of the great creative jazz recordings of the ‘60s and ‘70s where the artists used their music as a conduit for spirituality and as a reaction to turbulent events that were taking place in the country, much like today: war, racism, civil unrest, terrorism, mass killings. McCarthy’s highly expressive burnished alto voice soars on every track. Her broad range is full of lovely textures and nuances and her use of dynamics which is basically a lost art among singers today, is wrought with emotion. Her trademark phrasing and innate sense of rhythm demonstrates not only her expert ability to convey a story but her overall understanding of melodic and harmonic structure—she is a masterful musician. McCarthy uses her complete voice, as an instrument and as an interpreter of the word. 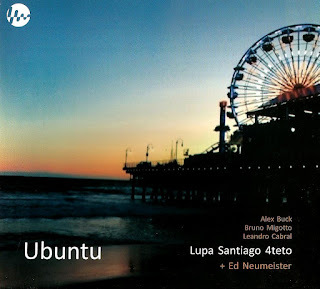 Instrumental Jazz CD of the Month - "Lupa Santiago 4teto + Ed Neumeister: Ubuntu"
"Ubuntu is an ancient African word meaning, “I am what I am because of what we are.” Ed and I met briefly in Austria in 2012, where he lives. This was a special occasion for me because, in the history of jazz, Ed is an exceptional and renowned trombonist, arranger, and composer. After a few emails, we set up a week of shows in Brazil playing my music and his.